Cliona Hagan… A Life Destined To Be a Leading Lady In Country Music. What feels like a few short months ago the legendary Queen of Country Music, Philomena Begley, during an interview on RTÉ’s ‘Late Late Country Special’ (2015) predicted that new comer Cliona Hagan would very quickly make her mark on the Irish and UK Country Music Scene to a viewing audience of 1.3 million. True to those words Cliona has indeed took the scene by storm. 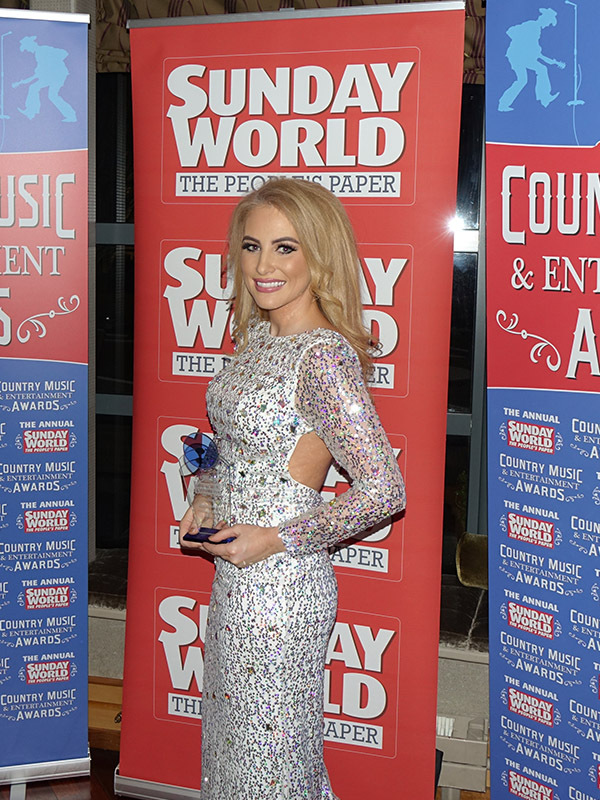 Awarded Female Vocalist of the Year at the prestigious Irish Post Country Music Awards (August 2017), and Sunday World Female Vocalist of the Year three years running (2017, 2018 & 2019). To add to that she was delighted to have been the opening act at Aiken Promotions Harvest Country Music Festival and has since released latest Album ‘Secret Love’. Now swapping her country shoes for dancing stilettos on Dancing with the Stars, and a new headline Irish tour starting Easter – 2019 looks to be Cliona’s best yet. This young lady from County Tyrone’s love for music started at an early age, and encouraged and supported by her family and teachers, studied music and had her voice trained classically. Childhood performances included BBC Radio Ulster, The Grand Opera House Belfast, The Welsh Opera, BBC’s Hearts & Souls TV show and appearances on RTÉ which included The Late Late Toy Show. Music was never too far away for Cliona – after getting A Levels, Cliona went on to study at Queens University achieving a Music Degree, then on to Edinburgh University, where she qualified as a Secondary Music Teacher. 2009 was an exciting year for Cliona, when she got to the finals of RTÉ’s “All Ireland Talent Show”, representing County Tyrone and Northern Ireland. Cliona loved teaching but she always said “performing and Country Music was in her heart and where she truly wanted to be”. Since launching in May 2016, Cliona has not only played to her own packed audiences, but also toured with some of the industries greats from Philomena Begley to Derek Ryan and Nathan Carter. The Tyrone songbird hasn’t wasted any time when it has come to the studio either. Releasing ten hit singles, including We’re All Gonna Die Some Day, The Cowboy Yodel Song and a duet with Michael English ‘Crazy Over You’. Her first studio Album released in October 2016 by Sharpe Music, ‘Straight To You’ featured fourteen tracks that was said to be “a must have for any true connoisseur of country music”. 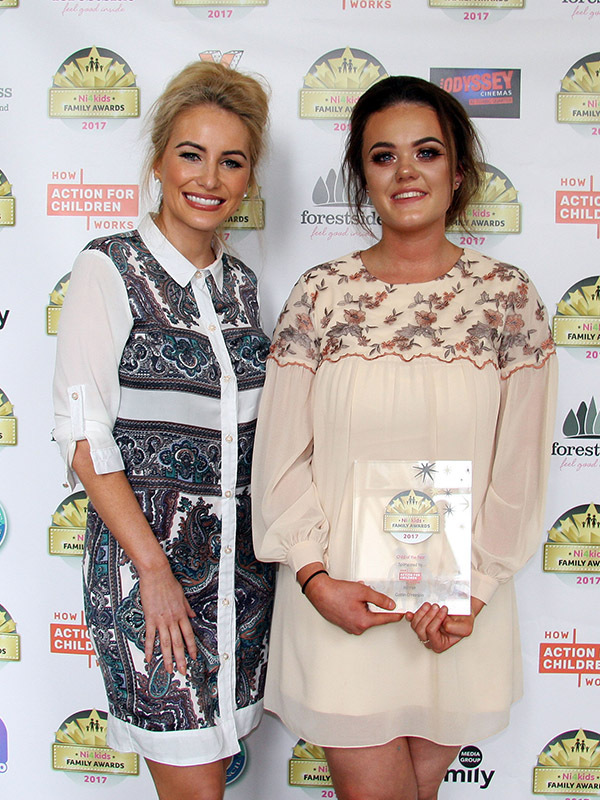 Cliona’s hard work, long hours and dedication to her craft, paid off, when she was nominated & won a number of Awards in her first year. These included RTÉ’s Irish Country Music Awards (ICMA) Best Newcomer, Irish Country Music Radio Newcomer, Tip FM Newcomer, Leinster Entertainment Newcomer, Mid Ulster District Council Civic Award in Recognition of Achievement in Arts and Music, Irish TV Best Newcomer. Not to forget her spectacular performance as co-host with Malachi Cush at The Irish TV, Irish Country Music Awards which was broadcast worldwide in May 2016. 2017 was a busy year for Cliona – putting the finishing touches to her second studio album, Secret Love which has since been released under Sharpe Music. The first single from the album ‘Little Darlin’ was released on 8th September 2017. In 2017, Cliona was also named Hot Country’s Most Promising New Act and this singing sensation has now been named Female Vocalist of the Year at the prestigious Irish Post Awards. Cliona’s amazing talents has also brought her to the small screen hosting her very own Country Music Show ‘Keltic Country Ireland’. Numerous appearances on RTÉ, TV3, TG4 and Irish TV brought attention to her special brand of country music to the masses, including tours in Ireland, England, Scotland, Europe and the USA. At the start of last year, Ciona joined Irish country’s golden boy Derek Ryan on his hugely successful Irish tour for album The Fire and in February 2018, Cliona won Female Vocalist of the Year for the second year running at the Sunday World Awards. May 2018 saw her once again lift an Award as she given yet another accolade at the Hot Country Awards – this time for ‘Entertainer of the Year’. June saw Cliona release her brand new album Secret Love which included hits Born To Run, McCarthy’s Party and Stop Cheatin’ On Me, which she performed at a number of festivals over Ireland. October 12th was a highlight in Cliona’s 2018 diary as she performed to over 8,000 country music fans at the hugely successful Farmers Bash in the SSE Arena, Belfast. Cliona joined fellow Irish country greats Derek Ryan, Lisa McHugh, Johnny Brady and Philomena Begley for an unforgettable night to both Artists and Fans of country music. Following multiple appearances on RTE’s The Late Late Show with Ryan Tubridy, Cliona released single Hallelujah at Christmas time as a treat to her dedicated army of fans throughout the year. 2019 has been an unforgettable year so far for Cliona – being announced as a Dancing With The Stars contestant, stepping out of her comfort zone and reaching the Final of the third series of the popular show on RTE 1. Cliona spoke of her time on the show, “you have to always not let fear rule you and hold you back… that’s my motto in life. I have not been in my comfort zone when it comes to the dancing, but I gave it my all, everything, blood, sweat and tears”, adding that “she can’t thank the people who showed [her] support enough”. Little rest for the Dancing finalist; Cliona says she “can’t wait to get back on the road” to see her army of dedicated fans, and the people who have supported her throughout her dancing journey. Cliona is set with her brand new band and ‘Dance On’ Tour beginning Easter, with a jam-packed schedule ahead for the Spring and Summer with dances, festival slots and her very own theatre concert tour starting in the Autumn. Visit www.clionahagan.com/shows for all Cliona’s tour dates and further information. Here is a list of Cliona Hagan’s awards and achievements to date. Click on “Shows” to see Tour Dates.